Public transport in Nice is provided by buses and trams. Almost all lines use the same 1.50 euro ticket, which can be bought from the driver or vending machines. You can also use buses from Nice to reach neighboring towns such as Cannes and Monaco. Public transport in Nice is provided by Lignes d’Azur and its buses and trams cover the city, with some lines also going to nearby medieval towns, as well as Monaco and Cannes. There is also a special bus to the mountains and express buses to the airport. The public transport in Nice forms a dense network of connections that can be used with one ticket. Details on the public transport in Nice can be found below. You can also visit the carrier’s website: lignesdazur.com, which is available in French and English. However, if you are using public transport to navigate around the city, I recommend the Google Maps’ application. If you have an internet connection, you can easily get around Nice using the directions provided by Google – all you need to do is select your starting and destination points, and the app will show you the best connections, including transfers and departure times. Buses in Nice form a dense network of connections. On some streets there are separate bus lanes, which theoretically accelerate the journey. In practice, however, buses are often delayed, and lines change their routes due to ongoing road repairs. But, you can’t complain about Nice’s buses because they are in good technical condition and in the summer the air conditioning works – mostly. Buses run for the whole week from morning to evening, and after 10pm night buses are available. Remember that there are timetables at every bus stop with the departure time for the first stop of the bus line! So for a given line every stop has the same timetable and you can calculate what time the bus should be at a specific stop. What should you know about using buses in Nice? There are a few rules: you stop the approaching bus by waving your hand, you get in using the front door, tickets must be validated in the yellow validator in the vehicle, and before your stop you need to press STOP button to get off. Two important bus stops in the city are the Albert 1er/Verdun, and Vauban (Gare Routière Nice Côte d’Azur) stops. The first is in the center just next to Massena Square – buses to Cannes, Grasse, and Vence, among others, depart from here. The second is the bus station for intercity communication, but there are also buses to Eze Village and Monte Carlo from here. Each line has its own number, and many of them also run outside the city; for example, line 81 goes up to Cap Ferrat along the way passing Villefranche-sur-Mer, and line 82 goes to Eze Village. The lines with one and two-digit numbers are ordinary lines running around the city and the surrounding areas. The exceptions are the express lines to the airport: numbers 98 and 99, for which the ticket costs 6 euros. 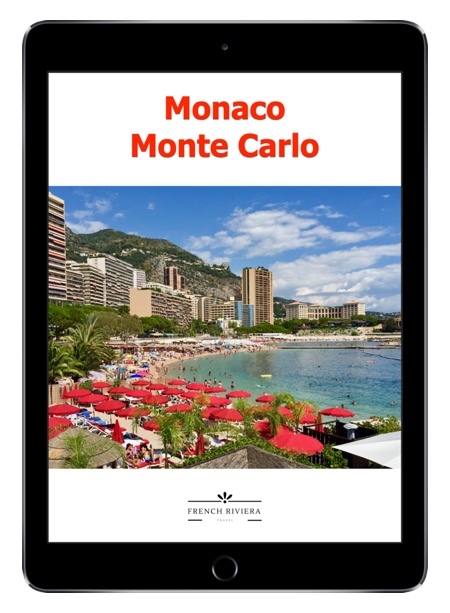 Buses with numbers 100 and above go further, for example, Monaco, Cannes, Grasse, and the mountains. There are two tram lines in Nice: T1 and T2. The first line (T1) connects two points in the north of the city by passing through the south near the sea through Massen Square, creating a kind of letter “U” shape on the map. The T1 tram connects, for example, the main train station, Gare Thiers, with Garibaldi Square and the surroundings of Nice’s Old Port. The second tram line in Nice (T2) will be completed by the end of 2019, but you can already use it. It connects the Old Port with Nice’s airport, therefore running between east and west. 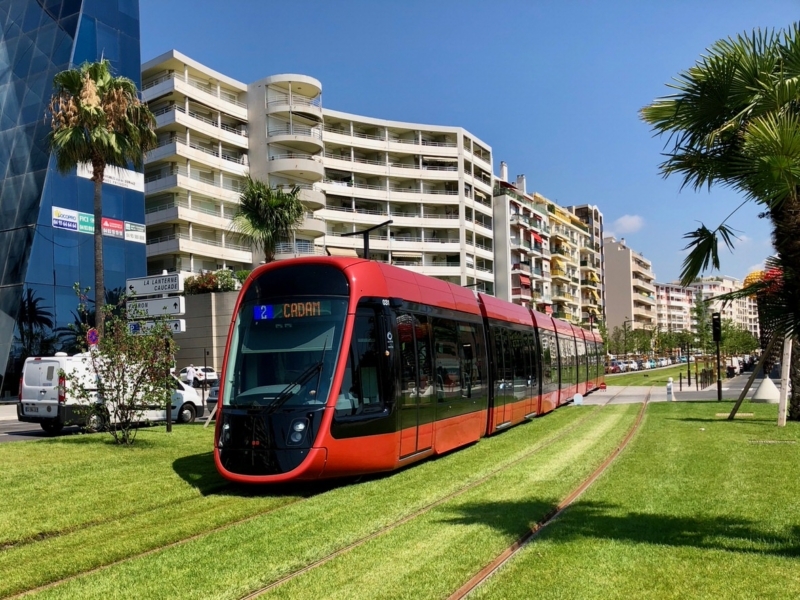 In the center of Nice this tram will go into a tunnel, where the important stops are the Jean Medecin stop (the nearest stop to Gare Thiers station, here you will be able to change to the T1 line) and the Garibaldi stop (here you can also change to the T1 line). Currently, this tram only runs from the Magnan stop to both airport terminals. Magnan is located a bit out from the city center, so currently you can’t get a tram from the very center to the airport. You will be able to take the T2 tram from the center of Nice to the airport from June 2019. At each tram stop there is a vending machine where you can buy tickets. The ticket should be validated inside the vehicle or on the platform before boarding – the yellow validators are used for this. Tickets can not be purchased from the train driver! The door to the vehicle is opened by pushing the luminous button in the middle of the door. Trams stop at every stop. A single bus or tram ticket is called a SOLO and costs 1.50 euro. You can buy it from a bus driver or the vending machine at the tram stop. This ticket allows you to change between different buses and trams within 74 minutes – but not on the return journey. So in 74 minutes you can go from point A through B to C, but you can’t then return from C to B or A, even if the ticket is still valid. Remember: you need to validate the ticket every time you enter a vehicle, and also if you change vehicles! The validated ticket has the date and time printed on it. Sometimes the ticket machine spits out the ticket without printing it, then you have to put it back in the machine for validation. If you plan to travel more often or in a group of several people, it is worth checking out the MULTI ticket. It costs 10 euros and includes 10 tickets (one card that can be validated 10 times). The MULTI ticket is available only from vending machines. It can be validated immediately for more than one person by putting it into the validating machine multiple times (make sure you check and count that you have as many imprints as you want to validate!). There is also a Pass 1 Jour ticket, which costs 5 euros and is valid for 24 hours, and a Pass 7 Jours ticket for 15 euros, which is valid for 7 days. The last useful ticket is the Ticket Azur, for which you have to ask the driver. The ticket costs only 1.50 euro and will allow you to change from Nice public transport to a bus that goes outside the city. For example: you have accommodation in Nice, but far from the Old Port where you can take bus 100 to Monaco. You buy a Ticket Azur ticket from the driver for 1.50 euro and go by bus to the Old Port. There, you change to bus 100 to Monaco and go to your destination on the same ticket. Similarly, you can do it on your way back by buying a new Ticket Azure. On the carrier’s website I also read that children younger than four can travel for free, and two children who are both younger than ten, can ride on one SOLO ticket. 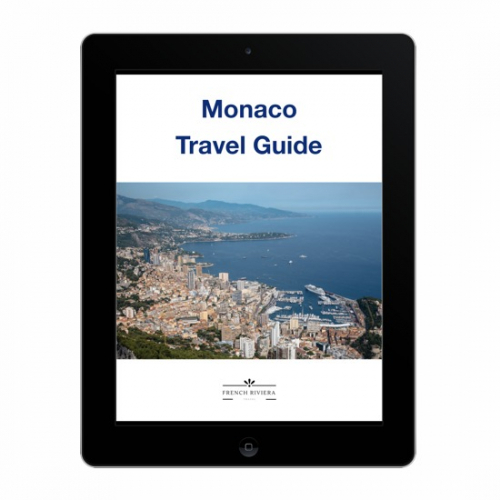 How to get from Nice to Monaco? The No. 100 bus from Nice to Monaco departs from the Old Port of Nice (near the church), and a 1.50 euro ticket can be bought from the driver (unless you have the previously mentioned Ticket Azur). The journey takes about 40 minutes and allows you to admire the coast between Nice and Monaco. Once in the principality you can get off near the hill with the Prince’s Palace, or near the casino in the Monte Carlo district. The No. 100 bus continues on to Menton. 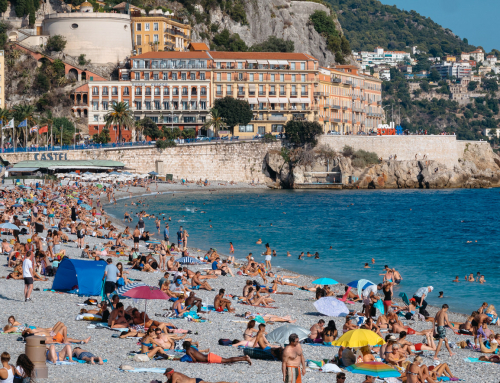 The train from Nice to Monaco runs continuously throughout the day from the main train station, Gare Thiers, and stops at the Nice Riquier stop. 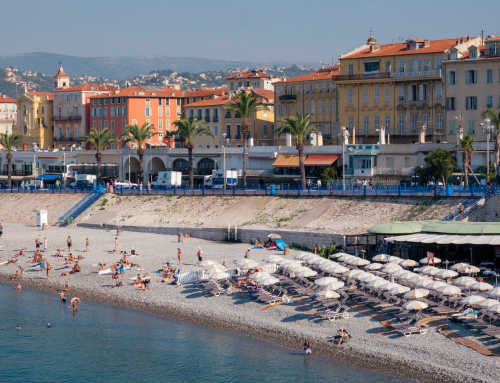 There are also trains from Nice’s St. Augustin stop, which is not far from the Nice airport. Traveling by train from the main station takes about 20 minutes and costs just over 4 euros one way. You have to get off in a long tunnel, which is Monaco’s railway stations – this is the only stop in a tunnel on this route, so you can’t miss it. You can buy a train ticket at the station from the blue vending machines or online at the oui.sncf website. Monaco can also be reached by bus 112, which leaves from the Old Port of Nice, and then travels through Eze Village before continuing all the way to Monte Carlo. Note: the SOLO, MULTI and PASS tickets do not apply to buses 100, 200, 400, and 500. Ticket Azur tickets are valid on these lines. 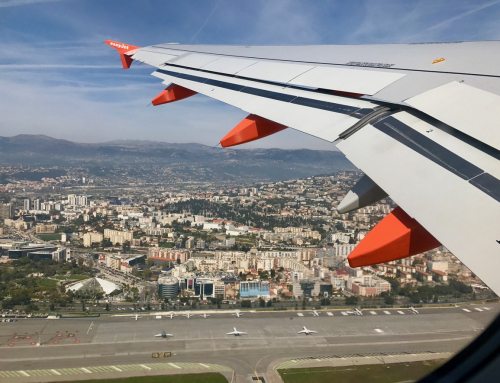 How to get from Nice to Cannes? The bus from Nice to Cannes is number 200, which departs from the Albert 1er/Verdun stop. 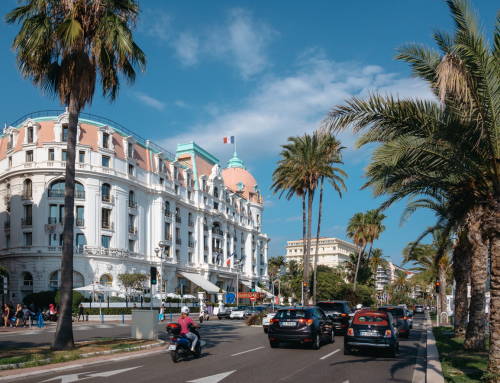 The bus then drives along the Promenade des Anglais but does not stop at all stops, so make sure you check the information for the specific stops. In season, however, it is best to get on at the first stop, because even here the bus can already be crowded. Tickets are bought from the driver and cost 1.50 euro. The journey, though, is long, sometimes even up to two hours. It is worth knowing that bus 200 goes through the town of Antibes, which is very nice and worth visiting in itself. The train from Nice to Cannes costs more than 7 euro one way and takes about 40 minutes (also via Antibes). 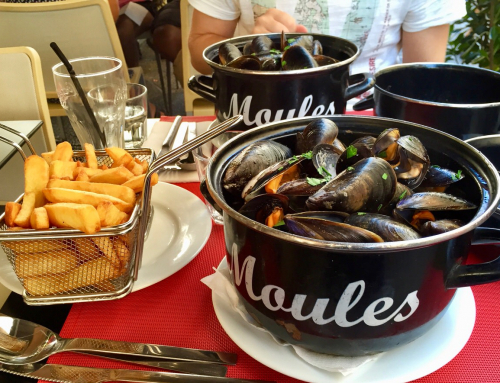 The stop in Cannes has the same name as the city – but don’t make a mistake by getting off at the Cannes La Bocca stop, which is further away; or the Cagnes-sur-Mer, which is just outside Nice. How to get from Nice to the medieval towns? Public transport in Nice also allows you to get to many of the beautiful medieval towns in the area. That’s why I usually recommend staying in Nice during your vacation on the Cote d’Azur. This city gives you the best opportunities for reaching many of the interesting attractions, especially if you have a limited budget. Some of the most useful lines are definitely the 500 to Grasse; the 400 to Cagnes-sur-Mer, St. Paul de Vence, and Vence; the 82 and 112 to Eze Village; the 81 to Villefranche and Cap Ferrat; and the 100 to Roquebrune and Menton. 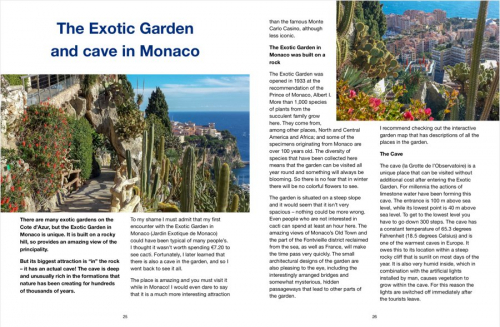 If you are looking for information on how to get to another specific place on the Cote d’Azur, just ask us under the article. You can also use the search engine at the top right of the page and enter the name of the town there. In an article on a given place I usually provide information about how to get there. Uber drives in Nice, and I sometimes use them. These private trips are cheaper than taxis. For example, an Uber from the airport to the center of Nice costs about 20 euros; while the price of traveling by taxi has recently been regulated and is approximately 32 euros. A taxi from Nice to Cannes costs about 80 euros, and about 90 euros to Monaco. If you do not have an Uber account yet, do not forget to enter my discount code: 331ck! In this way, both you and I will get a discount on our journeys. The information in this article does not absolve you from the obligation to read the carrier’s fare and travel policies. I have done the utmost diligence in working on this article, but I am not responsible for any damages or fines imposed on passengers, or changes to routes, bus numbers or fares.